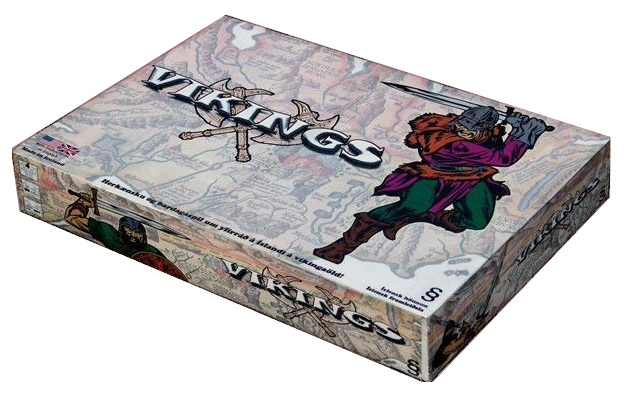 Vikings is a strategy game for two to four players, 10 years and older. The game is set in Iceland in the Age of Vikings. You draw an objective and must be the first player to reach your objective to win the game. To become the next Chieftain of Iceland you must occupy counties, harbours or fight for the opponents’ Manors with your Berserker at the forefront! Players get taxes from the counties to buy new vikings or Berserkers. There is more to the game than this though, since there are limits to the number of vikings on each county so you must plan your battles well. On your travels you can move on ships, find magical runes, get hit by a mudslide or meet monsters so there are many things that can alter your plans! In Vikings, players take the roles of one of Icelandic Historical Viking leaders in the 11th century, a century known as “Sturlunga öld” or the Age of the Sturlungs (after one of the main clans). During these times, there where constant conflicts between the main Chieftains of the country. During the game, players need to either fulfill 3 area control missions, drawn at the beginning of the game, or eliminate your rivals. 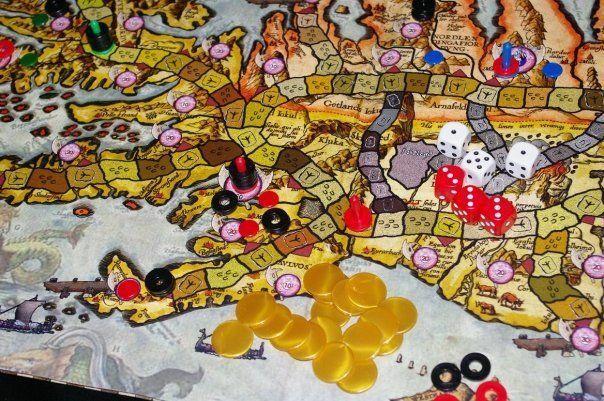 Players overtake counties surrounding their Manor in order to gain gold, that is used to pay for the armies needed to expand your area of control. 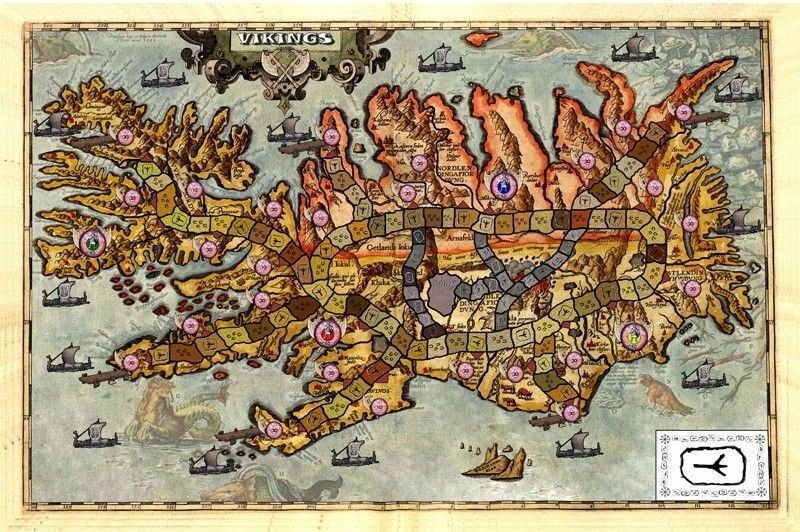 Players can only move their armies by moving their Berserkur (ring standee) along the movement paths across the country. The counties can only be entered from these paths, unless players gain control over harbors. In that case, viking boards can be used to make sneak attacks from behind using the sea routes. When moving, players can choose to interact with various random encounters, by drawing Rune cards. Some bring them luck, while other can cause casualties of your armies.